Amir Khusrau, the great Sufi poet of the 13th century, was an iconic figure in the history of Delhi Sultanate. 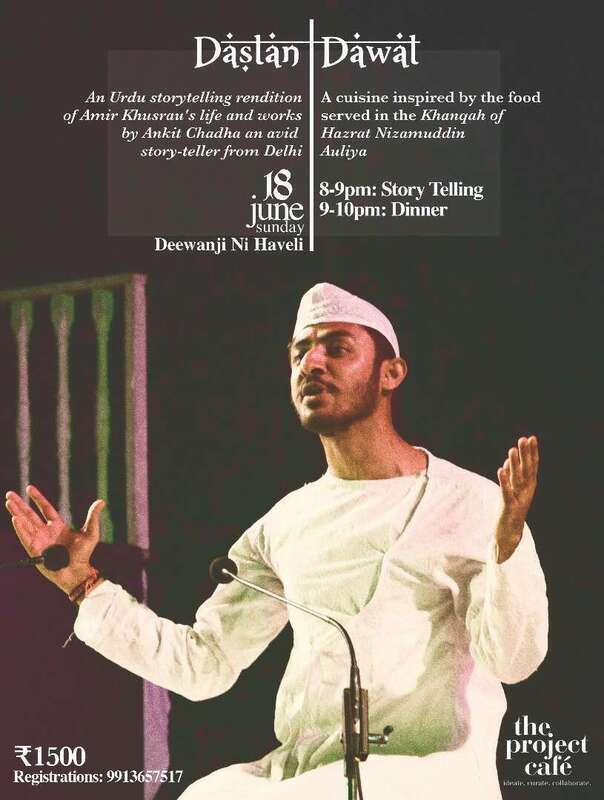 The Project Cafe curates Dastan-e-Khusrau, an Urdu storytelling rendition of a Khusrau’s life and works, performed by Ankit Chadha, an avid storyteller from Delhi, accompanied by a dinner inspired by the meals served in the ‘Khanqah of Hazrat Nizamuddin Auliya’. 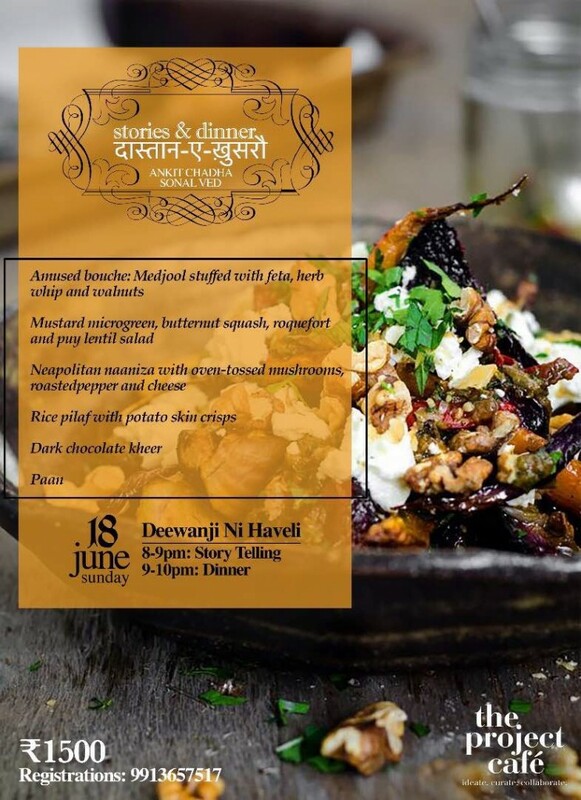 Experience a performance piece in Ahmedabad where art and food have always blended fair together.